Poster for a music event called "Rocks the Lot". 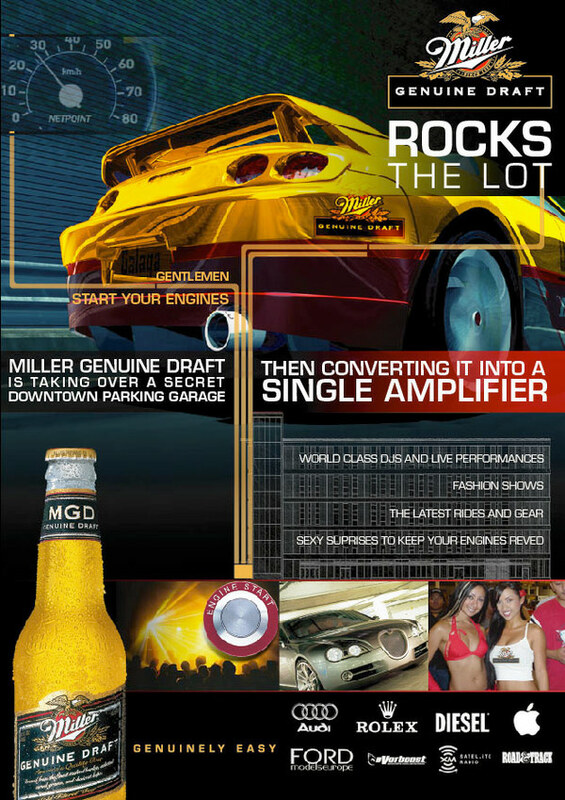 This is a poster promoting an event where a parking garage is converted into one enormous amplifier. It is part car show, part rock concert.